The holiday season is almost upon us and tons of new Kingdom Hearts products are making their way out just in time! 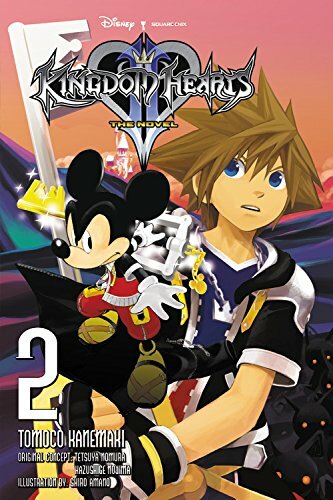 Continue the tale of Sora, Donald, and Goofy as they set out on a new mission to take down Organization XIII in Kingdom Hearts II: The Novel Volume 2! Yen Press has updated the cover art for Kingdom Hearts II: The Novel Volume 2 by written Tomoco Kanemaki and illustrated by Shiro Amano, releasing December 19th 2017 under the Yen On imprint. I've imported the first novel but didn't found time to actually read it yet, daaamn. Hopefully I'll get enough free time over the christmas season to finally delve into it. I mean, they already confirmed they will be translating them. They will likely be out throughout 2018, which is good for them since they can ride KH3â€™s hype. I wish they could make a deal with Disney to actually get some promotion of the novels or some shelf space in the Disney Stores but Disney doesnâ€™t have anything there that isnâ€™t directly made by them. Or like any acknowledgement of them by SE since they were the original publishers in Japan.